This novel tells the story of Hank Morgan, the quintessential self-reliant New Englander who brings to King Arthur's Age of Chivalry the "great and beneficent" miracles of nineteenth-century engineering and American ingenuity. Through the collision of past and present, Twain exposes the insubstantiality of both utopias, destroying the myth of the romantic ideal as well as his own era's faith in scientific and social progress. 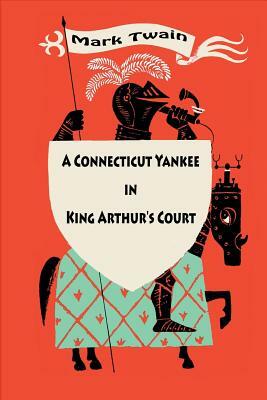 A central document in American intellectual history, A Connecticut Yankee in King Arthur's Court is at once a hilarious comedy of anachronisms and incongruities, a romantic fantasy, a utopian vision, and a savage, anarchic social satire that only one of America's greatest writers could pen. Includes vintage illustration.